I’m really excited to share my short story, Summer Healing, out today! 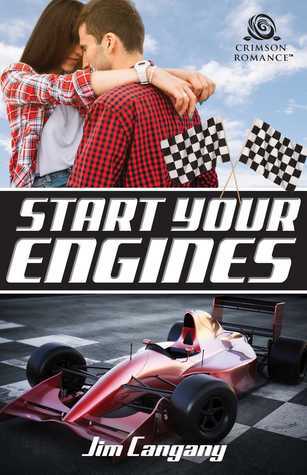 I’ve read this author before and he writes great sports romances. More than that, he actually makes obscure sports interesting and a wonderful backdrop to the romance happening between the main characters. Not to say that open-wheel racing (yup I learned a new term) is obscure. I know it isn’t however it is obscure to me having never watched a race in my entire life… and I’m a mega sports fan. After reading this story though, I actually watched racing that happened to be on when I flipped the television on Saturday. That’s the thing with this author – he doesn’t hit you over the head with the sport, but he does effortlessly weaves the action into the story where by the end, you’ve learned enough to be dangerous. 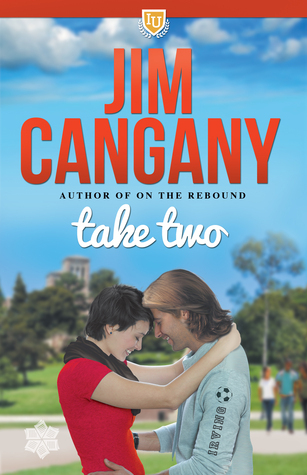 Cangany writes sweet romance so I’ll lodge my long-standing complaint there wasn’t enough heat for my liking, but there was passion between the main characters, and love. Their backstory was unique enough to pique my interest and although this was certainly guaranteed to be a HEA, I was a little concerned with our lovers’ fate. Highly recommend for anyone who likes any romance, sweet, sports, or otherwise. Oh, a warning. Do NOT finish this book the night before you have a 3-hour road trip. You may or may not break some speeding laws. Full disclosure – I received an ARC from NetGalley in exchange for an honest review. 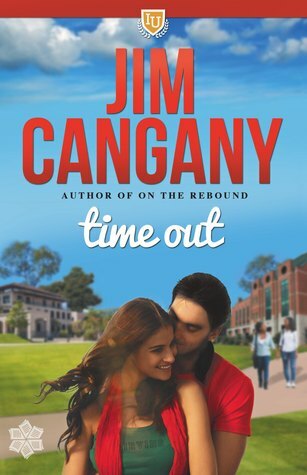 Time Out is the third book in the Irving University series and although I have read the previous two (see my reviews here and here), I believe this could be read as a standalone. There are characters from the other books, but the author does a great job giving enough background to catch you up to speed quickly. The main character, Karen, is a middle-grade teacher and basketball coach, not unlike her older brother, Greg, who coaches women’s basketball at fictional Irving University. She was once a promising player until her ulcerative colitis got in her way. She isn’t bitter about it, but chooses to use her gifts however she can. She is laid off from her teaching job at the end of the term, so Greg is able to get her a temporary job at Irving running the girls basketball camp over the summer. He also secures her temporary housing. Enter her landlord and neighbor, Terry, and his energetic daughter, Hanna. Hanna, a middle-grade student who wants to play basketball, makes instant friends with Karen who becomes a big help for Terry, a single father who’s struggling to make ends meet. I’ve mentioned before (probably in my other Irving reviews) that I’m not big on sweet romance. However when reading this series, I never feel like I’m missing out on something. The author does a great job of giving us the satisfying romance. He also shows us a different slice of life we may not be familiar with. Terry’s mom is Native American and we learn some new things in that area. He’s in building construction and a single dad – again we can feel what that likes from his perspective. Karen has a condition I’d not heard much about before, and now I know so much more. The author does not shy aware from racial issues and prejudice, however I do believe he lets Marie off the hook a little easily (you’ll have to read to know what I’m referring to). Overall, another very solid offering from Jim Cangany which I enjoyed very much. It was a little lighter on the sports this time, but of course it was still running in the background. I would recommend to anyone who likes romance, especially on the sweet side. I read the first book in this series, and mistakenly thought the second book would be about the male main character’s sister (that’s book three which I’m looking forward to). When I found out it was about the female main character’s best friend, I internally groaned. I barely tolerated Ciara, and mostly disliked her because she was always listening to her mean best friend. I couldn’t imagine sitting through a whole book about this woman. Whelp, I think I may like this one more than the first. There’s a little backstory, of course, which has shaped Marie into the woman she is and how she presents herself to the world. I think what makes her more likeable is how Cangany brilliantly gives us a nemesis we really dislike. Helen is reprehensible and sadly, believable, because I’ve personally experienced people like her. The love interest is quite likable, attentive, hot, and everything a love interest should be. He has an interesting job and reason for being on campus which was fun to follow. Sports is truly my life, but I don’t usually follow triathlons (nor triathletes), but that angle was never boring. And to really knock it out of the park for me… not one, but TWO Jason Mraz song references. Enough said.